When the City of Columbus, Ohio wanted to understand how many parking metres it should put in its downtown core, it tapped the dataset of Oakville, Ont.-based telematics firm Geotab and learned that in areas with fewer parking metres, cars were circling and looking for a spot. “Then we had the city hooked, wanting to know how else they could use the data,” says Mike Branch, vice-president of data and analytics at Geotab. Geotab’s data service for smart cities was just launched in June, offering its dataset that grows by 2 billion daily records and spans more than 100 countries around the world to cities that want to use that vehicle-based feedback for data-backed decision making about city infrastructure. Funded by a $40 million U.S. government grant as the result of winning a Smart City Challenge, Columbus has partnered with Geotab to integrate its datasets into its Smart Columbus Operating System. The web-based open data platform will gather and analyze real-time and historic data about the city’s local transportation network. This will lead to applications for providing real-time traffic conditions, identifying areas most likely to see vehicle collisions, and detecting problems with traffic signals. 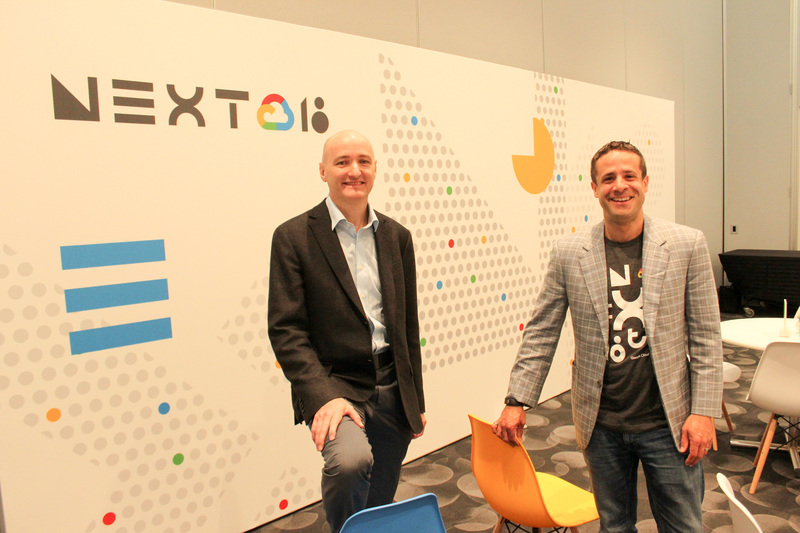 Neil Cawse (left), CEO of Geotab poses with his vice-president of data and analytics Mike Branch at Google Next in San Francisco. Today Geotab’s smart city-based revenue is a small slice of its overall business, says CEO Neil Cawse, who sat down for an interview with ITWC at the Google Next 2018 conference in San Francisco. But combined with its sudden growth spurt in the U.S. – the firm made the 2017 Profit 500 list with a five-year revenue growth of 302 per cent – its data-driven approach is winning Geotab some industry recognition. It was dubbed by consultant shop Frost & Sullivan as its 2018 North American Company of the Year Award for commercial fleet telematics. It’s also been showcased by Google Cloud for its use of Google’s big data analytics and machine learning services. Originally founded in South Africa in 1996, Geotab moved to Canada in 2000. Today it has 300 people working in its Oakville office and another 50 in Waterloo, Ont. It also has U.S. offices, and several European locations including Madrid, as well as an office in Auckland. The Geotab Go 8. Image provided by Geotab. At the heart of its business is the Geotab GO GPS vehicle tracking device. It plugs into the OBDII port on just about any modern vehicle or uses an adapter if needed on older vehicles. It combines its direct tap into the vehicle’s computer with a suite of sensors and an LTE connection. Accident detection: detailed forensic data of a suspected accident can help reconstruct the event. Adjustable rules for immediate driver coaching: an audible alert buzzer can trigger when a driver is speeding, for example. Seatbelt use: Is the driver buckling up? With Geotab’s smart city data services, the idea is that aggregate data from these devices could help municipalities learn about their infrastructure. Cawse says many cities across North America have approached Geotab to help it solve problems ranging from “where are my potholes?” to identifying dangerous intersections to understanding how many pollutants are in the air. Since the U.S. exited the Paris Accord agreement to reduce greenhouse gas emissions, many states have been galvanized to take matters into their own hands, and knocked on Geotab’s door for help monitoring vehicle emissions. California, for example, wants to constantly monitor carbon dioxide from vehicles instead of requiring drivers to bring it into a shop every couple of years. Then there’s the desire to improve emergency vehicle response times. The City of Stratford, Ont. wants to use traffic light control modules so that an ambulance responding to a call would have all green lights along its route. “It makes things much safer and you get to the location quicker,” Cawse says. Collecting data from its GO units is just the start of Geotab’s magic. 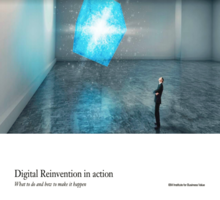 It’s built a data layer with a suite of Google Cloud technologies that make its analytics services possible. It taps into Google’s BigQuery service for its data lake, where it has more than 1 petabyte stored and is growing in volume daily. It also uses TensorFlow for its machine learning capabilities. Google partner SpringML, a Pleasanton, Calif.-based firm that specializes in machine learning, helped Geotab set it all up. It’s due to this set of services that Geotab can be more specific in its data analytics than many of its telematics competitors. For example, Geotab can report on movement of specific vehicles within a mixed fleet environment. The work has impressed Jim Lambe, the country director in Canada for Google Cloud. For Geotab’s Branch, the success comes one project at a time. But he does evoke the image of a runaway transport truck while talking about a project with Detroit. If you’re coming across from the other side of that intersection, the answer is yes. Hashtag Trending - EU approves Apple/Shazam deal; alleged Sony hacker charged; Did IBM spy on New Yorkers?